I can’t believe it’s (almost) Valentine’s Day again! It arrives every year one week after my birthday yet it somehow always sneaks up on me. I know I’m not alone in loathing the commercialization of the holiday, where companies make billions of dollars from jewelry, flower arrangements, chocolates and dinner reservations. But putting that aside, I’m a romantic at heart and like the idea of a designated day to celebrate the love and affection that we feel most of the other 364 days of the year. I say “most” because it’s almost inevitable to get occasionally get annoyed with those closest to us, right? Women not currently in a relationship no longer need to think of Valentine’s Day as a major downer either, ever since a 2010 episode of Parks and Recreation put Galentine’s Day on the map. February 13, Valentine’s Day-eve, has become the unofficial day to celebrate female platonic love and badass female friendships. While here in the US we tend to go overboard with lavish bouquets of red roses, Hallmark cards and boxed chocolates, Valentine’s Day is celebrated quite differently in other countries. In Wales, the traditional romantic gift is a love spoon. Beginning in. the 17thcentury, Welsh men carved intricate designs into wooden spoons as a token of affection for the women they loved. Some of the more common ones include horseshoes, which represent good luck; wheels, which stand for support; and keys, which represent the keys to a man’s heart. In the Philippines, Valentine’s Day is the day many choose to get married or renew their vows en masse at shopping centers or other public places. In Denmark, couples and friends express their affection by exchanging pressed white flowers called snowdrops. Men also give women gaekkebrev, a “joking letter” containing a funny poem or rhyme written on hand-cut paper and signed with anonymous dots. If the woman given the letter can correctly guess the sender she’s earned herself an Easter egg later that year. China has a different celebration called Qixi, during which young women prepare fruit offerings to Zhinu, a heavenly king’s daughter, in the hopes of finding a good husband. Couples also head to temples to pray for happiness and prosperity. South Africa celebrates Valentine’s Day with festivals, flowers and other tokens of love. It is also common for women to wear their hearts on their sleeve (quite literally) by pinning the name of their love interest on their shirtsleeves. This is an ancient Roman tradition known as Lupercalia and is actually the way that some South African men learn of their secret admirers. Although we never go all-out for Valentine’s Day in my home, I don’t consider it a non-event either. Cards (the least cheesy ones I could find) have been sent to the out-of-town family members and this year it’s just my husband Rob and our young adult son who’ll be here in the house. I plan on making a (hopefully) delicious meal and lighting some amazing candles (probably Archipeligo Luna and DL & Co Cranberry & Cassis). I still need to figure out a healthy dessert since the hubby is diabetic and the son has sworn off sugar. We’ll also probably watch something on Netflicks or Amazon after dinner. I’ve just finished watching Russian Dolls (loved) and have started Black Earth Rising (also really good so far) so I’ll have a figure out something new to watch together. If you are still scratching your head about what to gift your special someone for Valentine’s Day and think they might love a chocolate scented perfume in lieu of – or in addition to – the real thing, my earlier post found here might give you some ideas. Demeter Fragrance Library also carries some great comfort chocolate scents that are super-affordable, like their Chocolate Covered Cherries, Chocolate Chip Cookies, Dark Chocolate and Devils Food scents. Other ideas for some of my favorite rose perfumes can be found here. 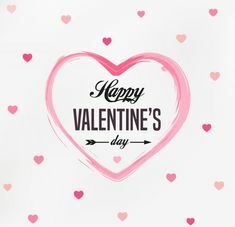 How are you celebrating Valentine’s Day this year? Do you have any special plans?